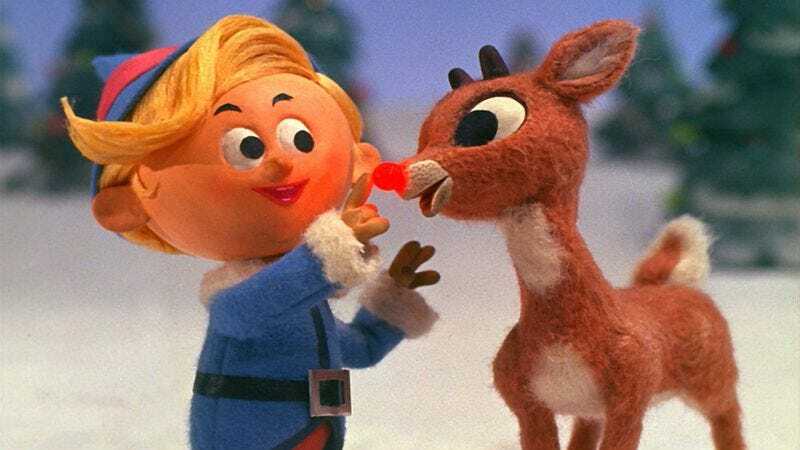 The Flash (The CW, 8 p.m.): Rankin/Bass’ holiday universe (a.k.a. the Holiverse) would eventually feature several villains (or, at the very least, antiheroes or nuisances) with the ability to generate cold. There’s the Winter Warlock from Santa Claus Is Comin’ To Town, Snow Miser from The Year Without A Santa Claus, and Winterbolt from Rudolph And Frosty’s Christmas In July. The Arrowverse has several frigidly inclined antagonists as well, including Killer Frost, who had an episode named after her last week. Maybe she’ll pop up tonight in the next chapter of the Arrowverse’s massive Flash/Arrow/Supergirl/Legends Of Tomorrow crossover. Will viewers also get a subzero blast to the face from Captain Cold? And while The CW’s at it, why not introduce Mr. Freeze, Icicle, and Snowman? Scott Von Doviak might need to wear a parka while writing his review. Marvel’s Agents Of S.H.I.E.L.D. (ABC, 10 p.m.): Marvel’s Agents Of S.H.I.E.L.D. would earn a spot in our top picks by simple virtue of having been gone for so long. It’s back tonight after a month-long hiatus, and with it, another episode focused on the Marvel Universe’s Heat Miser equivalent (if you don’t count Pyro, Sunfire, or Human Torch, that is), Ghost Rider. Also, half the team is currently missing. Alex McCown-Levy is praying for a Christmas miracle to get ‘em out of this one, the same way one would pray for it to snow in Southtown. Drunk History (Comedy Central, 10:30 p.m.): How the hell has this not been done yet? For its fourth-season finale, Drunk History tackles the life of Alexander Hamilton, told by none other than Lin-Manuel Miranda himself. He’ll apparently be getting schwasted (or whatever the 18th-century term for “schwasted” is) on his parents’ couch as he recounts the story of the historical figure who’s helped earn him millions of Hamiltons in real life. Let’s face it, this is the closest you’ll ever get to seeing Hamilton until that taping of the musical gets released. Batman Returns (HBO GO): One of the most successful examples of how to do a dark Christmas film, Batman Returns finds Burton going full Burton for a sequel that’s faster, moodier, and more visually stunning than its predecessor. Christopher Nolan’s trilogy may be better overall, but this one still feels closest to the comics. Also, that last line of dialogue resonates more than ever these days.